Installing the ten most popular apps on iOS was something that, back in 2013, required 200MB; four years later, installing these same apps requires 2GB. 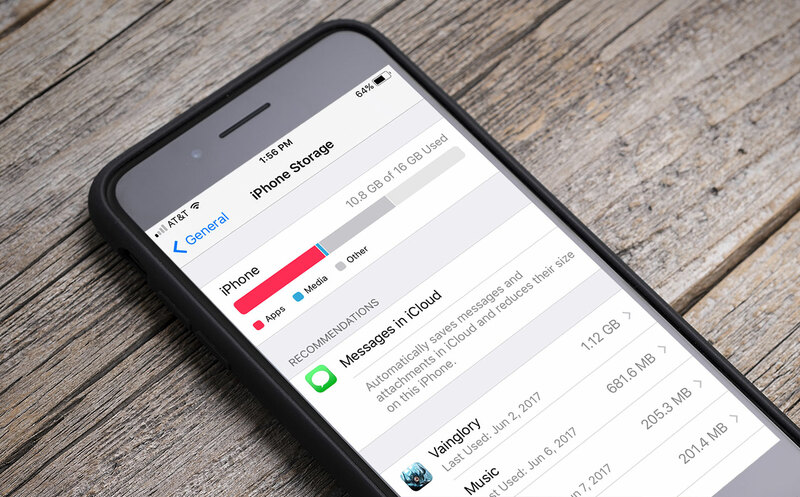 Most users will have noticed that their smartphones free space is disappearing at an ever faster rate. 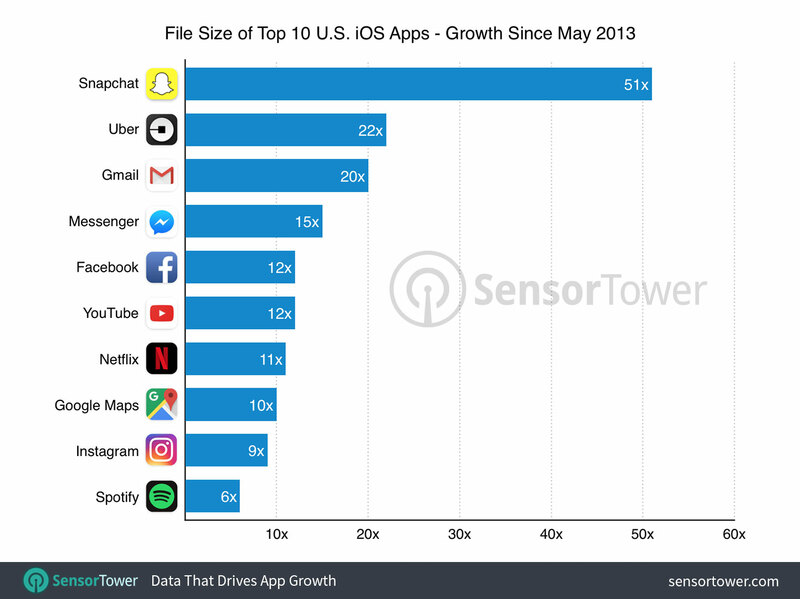 Sometimes it can be attributed to the amount of photos and videos we take (you can always offload them to iCloud or Google Photos) but apps are often to blame as well. 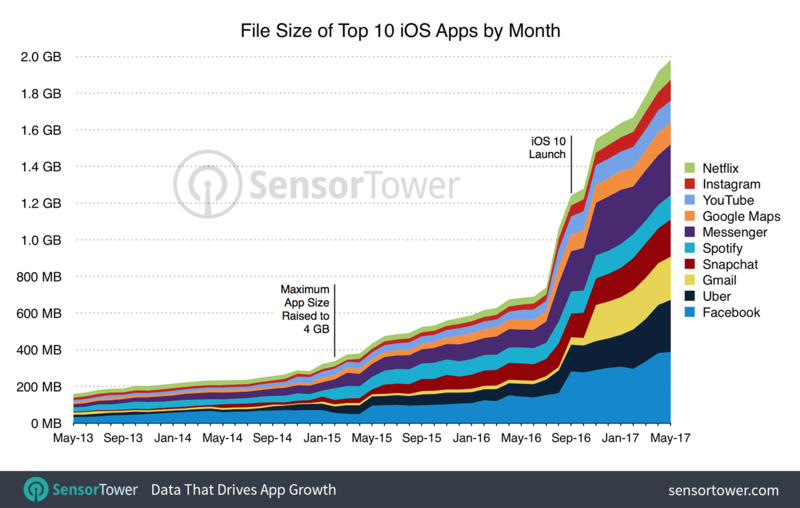 A study shows that the top 10 iOS apps have grown 1000 percent in size in just four years, and that's pretty revealing. Gmail is also another case with unexplained size increases, in a single update in November last year the app went from 41MB to 197MB, currently occupying 288MB (for an app that should simply show emails, we can't stop but wondering why it requires so much space.